62 year old Troy Edwin Fann, of Trinity, fell asleep and slammed into a large tree off FM-2500 in East Polk County. 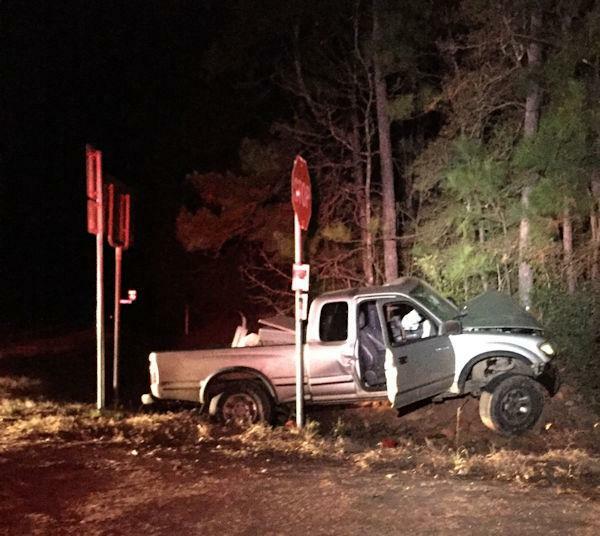 Driver Falls Asleep, Slams Into Tree, ALABAMA COUSHATTA COUNTRY, December 25, 2016 - At approximately 2 am on December 25, 2016, a tan 2000 Toyota Tacoma pickup, driven by Troy Edwin Fann, 62, of Trinity, was north-bound on FM-2500. As Fann was approaching the intersection of FM-942 at FM-2500, he fell asleep at the wheel. Fan crossed over 942, left the pavement, and slammed into a large tree. Allegiance Ambulance Service was dispatched to the scene along with Alabama Coushatta Volunteer Fire Department, a Deputy from the Polk County Sheriff's Office, Trooper Darwon Evans with the Texas Highway Patrol, and the Alabama Coushatta Police Department. Fann was trapped inside his vehicle. Volunteer firemen and emergency personnel were eventually able to free Fann. Fann was transported by ambulance to CHI Livingston Memorial Hospital with undisclosed injuries. 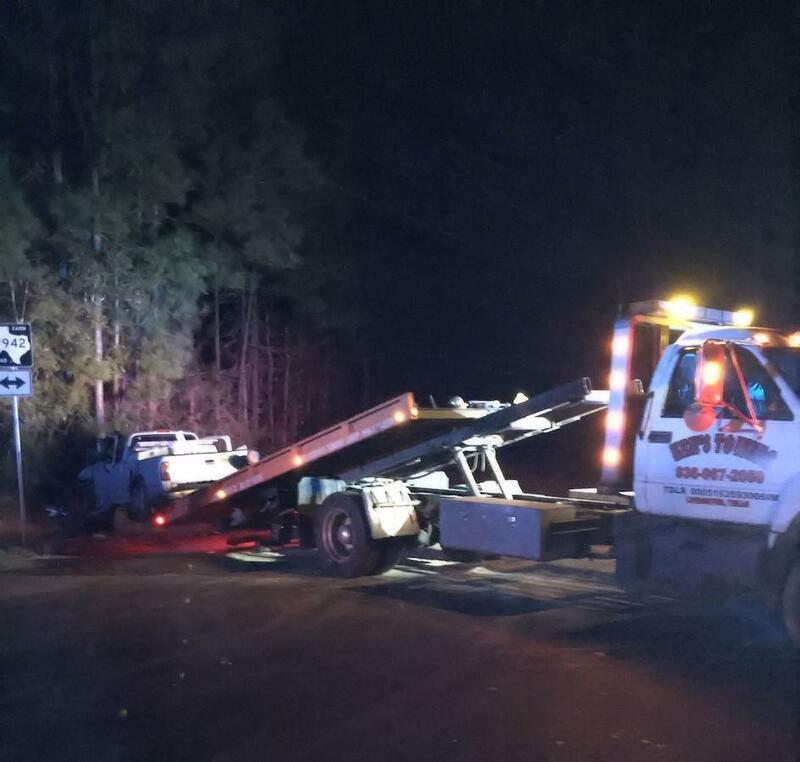 His vehicle was recovered by a rollback wrecker from Ken's Towing and will be stored at Harrison Body Shop in Livingston. 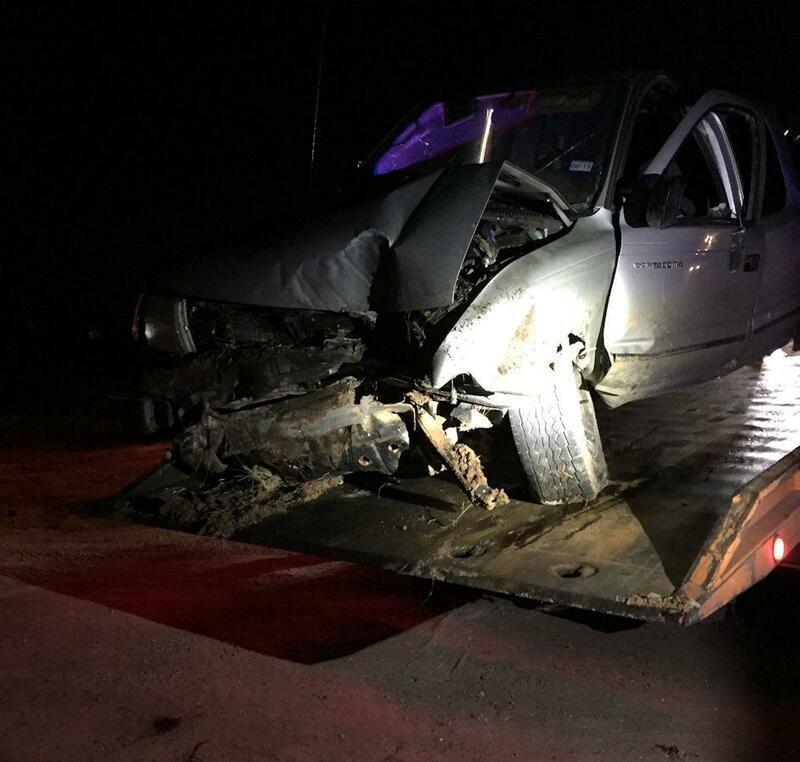 Fann's vehicle was recovered by Ken's Towing.